Shuttering and fencing are now down from the city side of the building and everything looks as if it is moving fast towards the opening in May. With the completion and the opening of BLOX imminent, it is worth subscribing to the news updates. 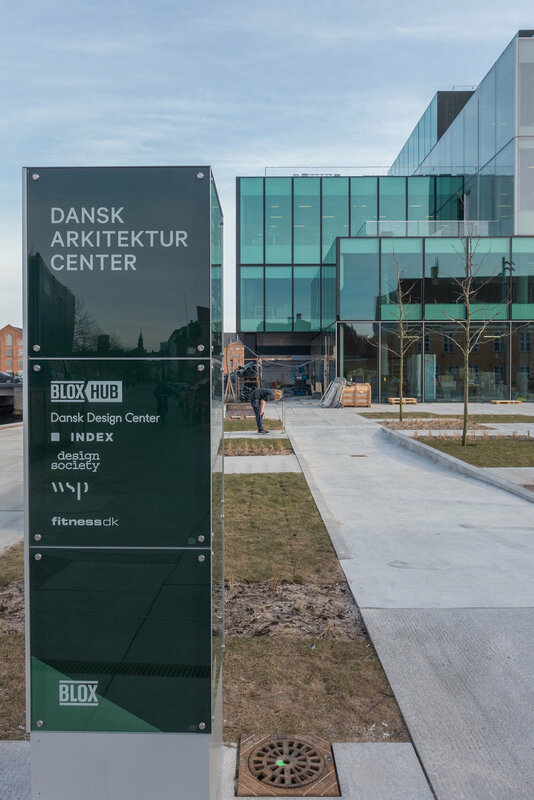 It was recently announced that staff are to start moving across from the Danish Architecture Centre - from their current building in a warehouse on the other side of the harbour - and that the restaurant / café are to be run by the Meyer company. The sections of the new bridge over the harbour are now being assembled off site but will be moved here in the summer for the bridge to be completed and opened in the Autumn. Work on the intermediate piers is finished and they are capped off and the metal barriers marking the channel for boat traffic and there to protect the piers have been installed.